In the absence of market prices, how likely are these “measures” to achieve their desired effects considering the expected behaviour of individuals on the demand side? And, how does this expected behaviour interact with the expected behaviour of South African voters in their role as provider of healthcare services by determining taxation through the political process? In South Africa the bulk of taxes raised by government are in the form of PIT (Personal Income Taxes) and in the 2017/18 tax year 1.9 million South Africans contributed 80% of the revenue. Over the years PIT has grown from roughly making up the same proportion of revenue as VAT to becoming the single largest source of revenue. The reasons why are not difficult to see: VAT affects all voters, 80% of PIT is raised from less than 2 million South Africans out of almost 27 million registered voters. The situation in South Africa is quite different given the fact that there is such a mismatch between the population of voters and the population of individuals paying taxes. This means that the marginal cost to the taxpayer of funding the NHI is likely to significantly outweigh the marginal utility derived from using the NHI. Those people paying taxes then have one of two options: they can either leave the country or stay and figure out a way of reducing their tax burdens. In other words, the voters will have an incentive to impose more and more taxes on the small population paying taxes in order to fund greater and greater levels of service, especially with regard to the NHI services that have the greatest elasticity of demand. The taxpayers will get to the point where the benefit of the NHI is outweighed by the cost because of this, and they will act rationally in an effort to reduce this burden. The point here is that there can be no social-solidarity without shared pain in the form of the tax burden. South Africa cannot have a system similar to the British NHS given the socio-economic state of the country where a tiny minority pay most of the taxes. Given that we are a democracy, such a situation leaves us vulnerable to the possibility of taxing the golden goose to death because any welfare measure is under the control of people who do not have to pay for it. 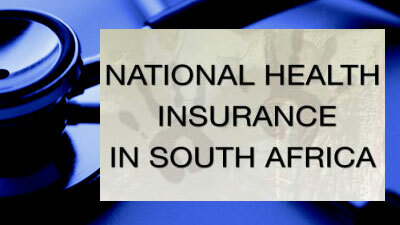 With everyone acting rationally in the private as well as public arenas, the introduction of a system like the NHI will destroy the South African economy.